Today, Linda Cabot announced the launch of her brand of sustainable home décor, Linda Cabot Design. Inspired by the landscapes and colors of New England, the company’s unique pieces are created using organic cotton and environmentally friendly digital printing techniques. 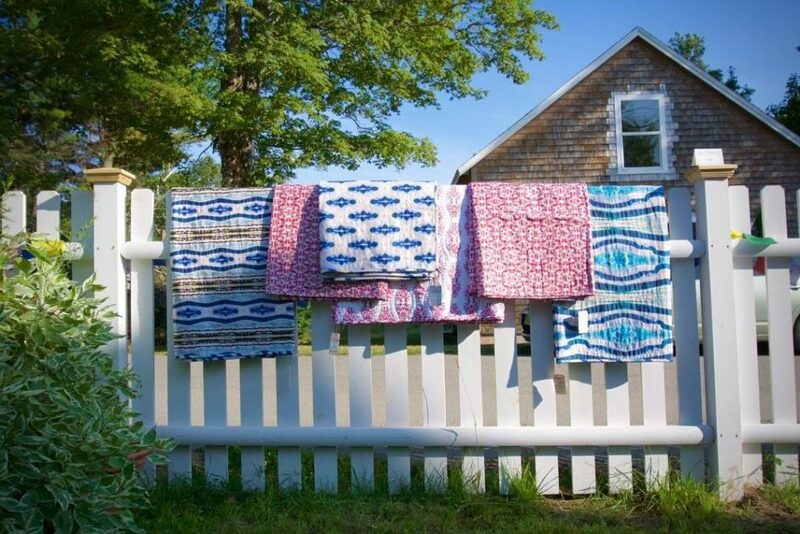 Linda Cabot, a native New Englander, unites her love for painting with her passion for creating a colorful sense of home in her now available collection of sustainably printed textiles. 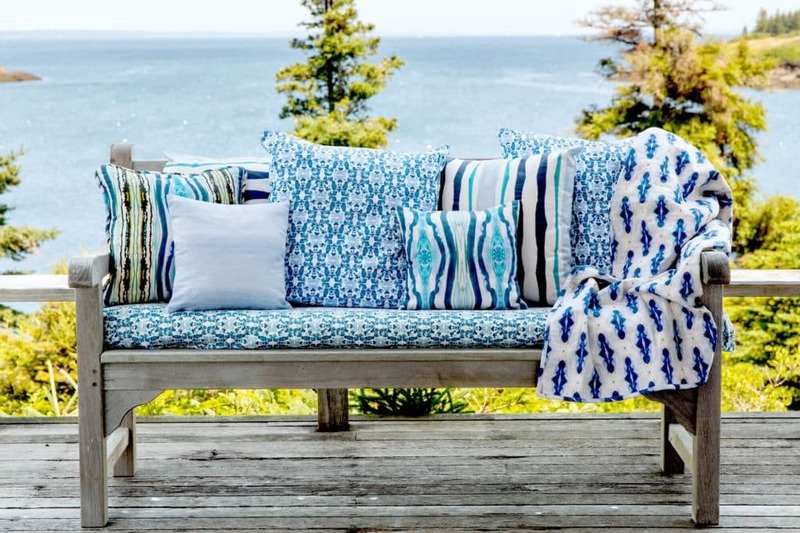 The collection of pillows, tablecloths, quilts and other home accent pieces are developed using brush strokes from Cabot’s own paintings that are captured digitally and combined in unique patterns creating truly one of a kind prints that encompass vibrant New England style. Linda Cabot Design is committed to entirely sustainable practices from design to development. In an effort to avoid the pesticides used to manage conventional cotton crops, Cabot’s designs are printed only on certified organic cotton, which uses 71 percent less water and 62 percent less energy to produce. The company is also committed to clean digital printing techniques and sourcing local, fair wage artisans to make its products by hand. 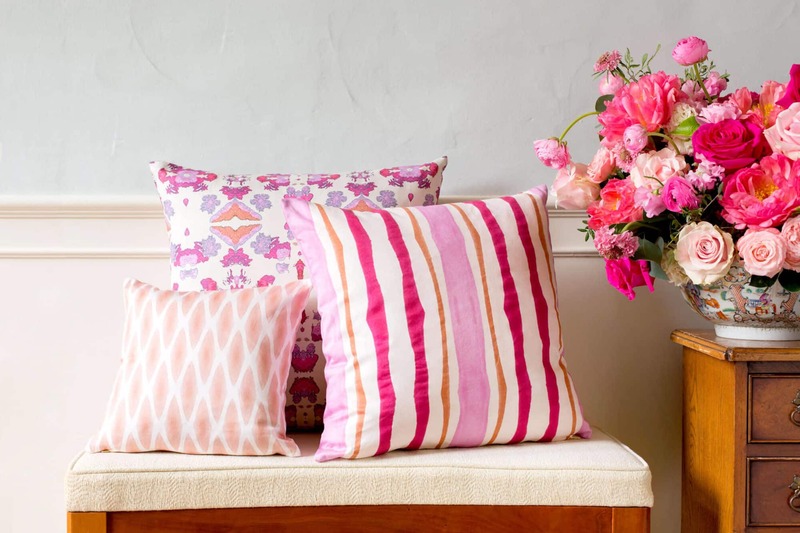 Additionally, instead of using harmful down feathers for pillows inserts, Linda Cabot Design products include two other kinds of sustainable filling: clean wool and kapok, another plant-based filler. Products are thoughtfully sourced and creatively designed, meaning people can feel good about using them in their home.